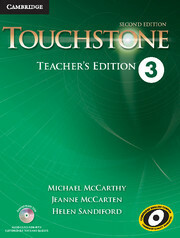 Touchstone Second Edition Teacher's Edition with Assessment Audio CD/CD-ROM, Level 3 is an interleaved, spiral bound book that puts the teaching notes next to the pages from the Student's Book. 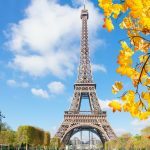 It contains step-by-step teaching notes, detailed language notes to help teachers prepare for class, extra activity ideas, and all the audio scripts and answer keys for the Student's Book and Workbook. 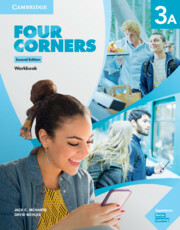 The Assessment CD/CD-ROM provides a complete assessment program, including oral and written quizzes, as well as mid-term and final tests in printable PDF and Microsoft Word formats.